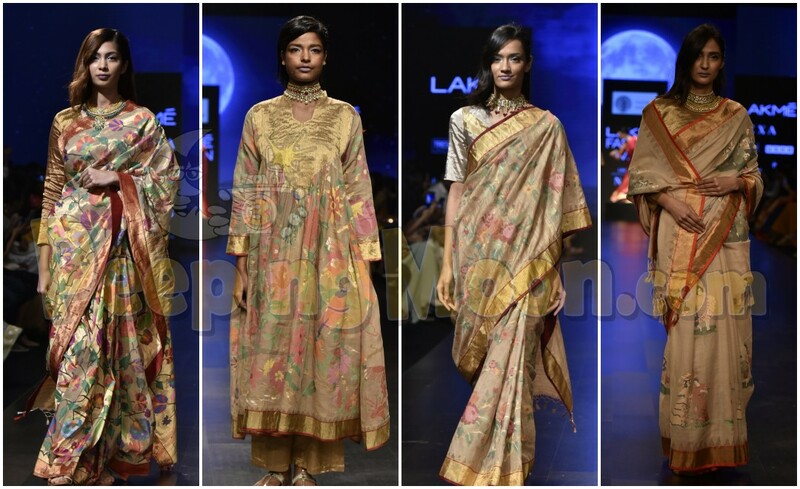 Lakme Fashion Week Summer/Resort Day 5 saw a lot of designers showcasing summer festive wear and couture ensembles. 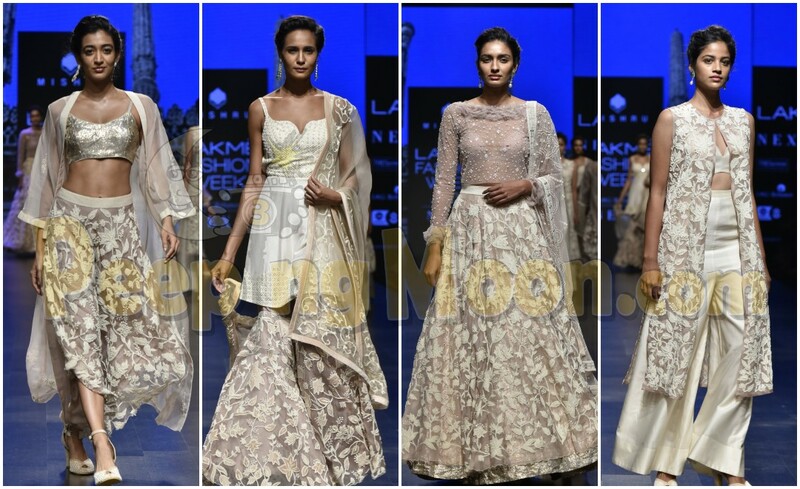 From sarees to lehengas, dresses to indo-western outfits, we've witnessed a lot of modish creations at the runway. 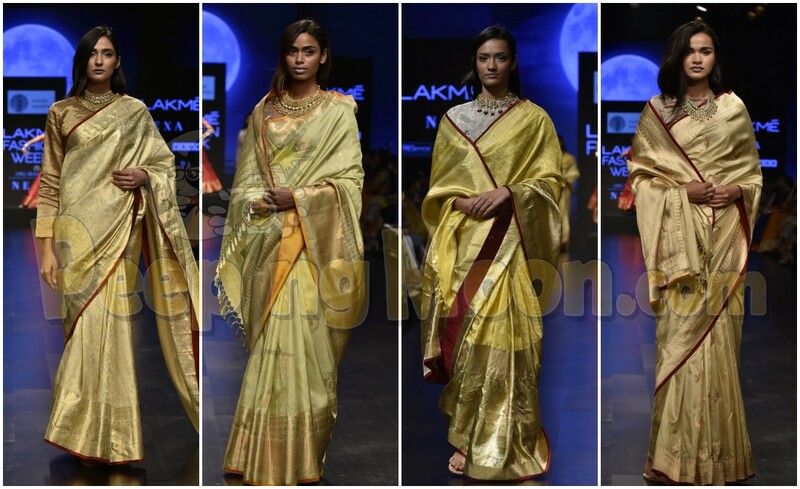 Sailesh Singhania's collection focused on Benarsi textiles. 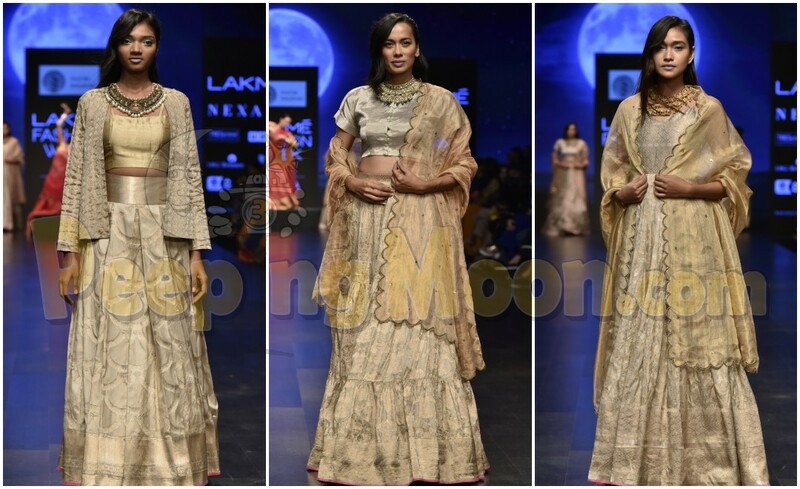 Lehengas, anarkalis and the classic, ethereal sarees were seen at the runway. Floral prints and different shades of golden ruled his collection. 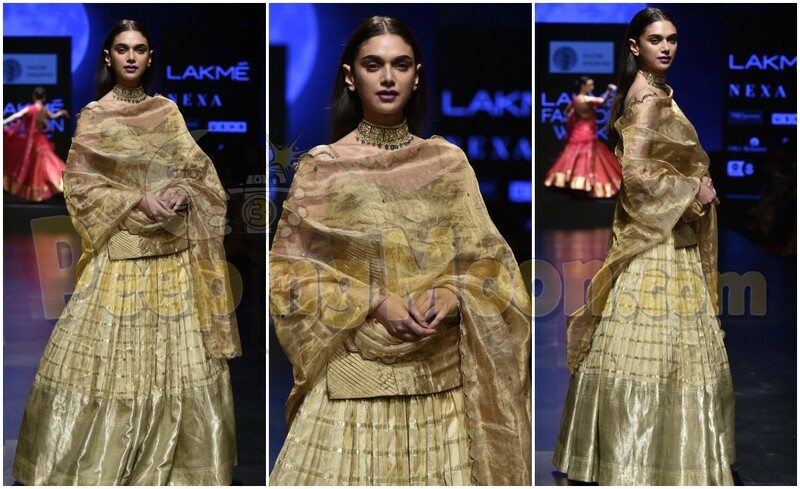 Aditi Rao Hydari did the strut for the designer wearing a textured blouse with a dull-golden Benarsi lehenga from his current collection. The actress looked absolutely radiant as she sashayed down the aisle. 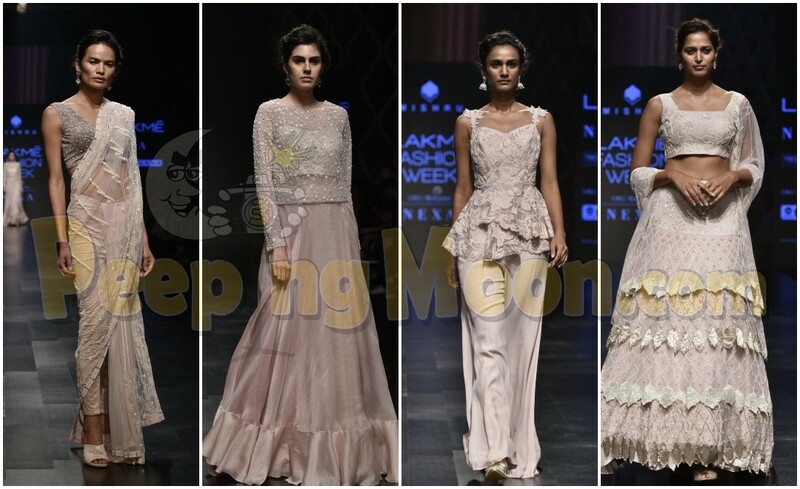 Mishru's collection was all about the pastel peachy and lavender hues. With layered skirts, peplum blouses, embroidered shararas and lapelled ensembles, the labels new collection featured an eclectic fusion of contemporary and traditional trends. Heavy embroidery, embellished textiles, textures and shimmery details were seen across the collection. 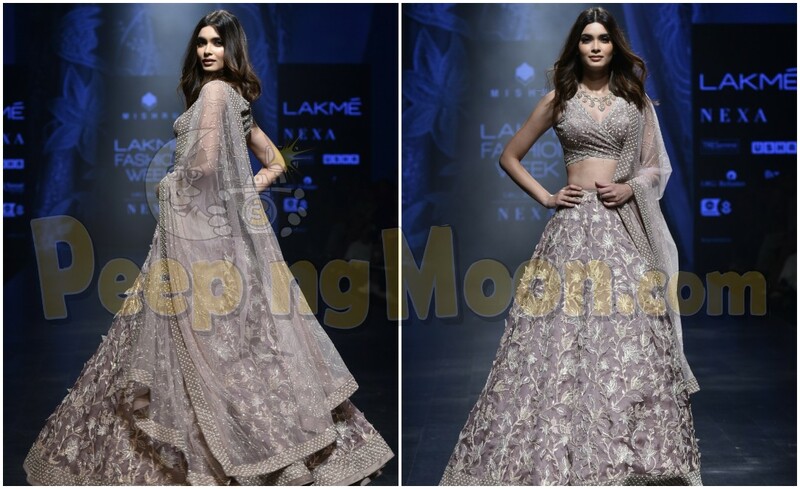 Diana Penty wore a very elegant lavender hued lehenga as she walked down the runway. A bow blouse paired with a heavily embroidered skirt and a shimmery dupatta, Diana defined charm on the aisle. We're digging this festive mood, what about you? 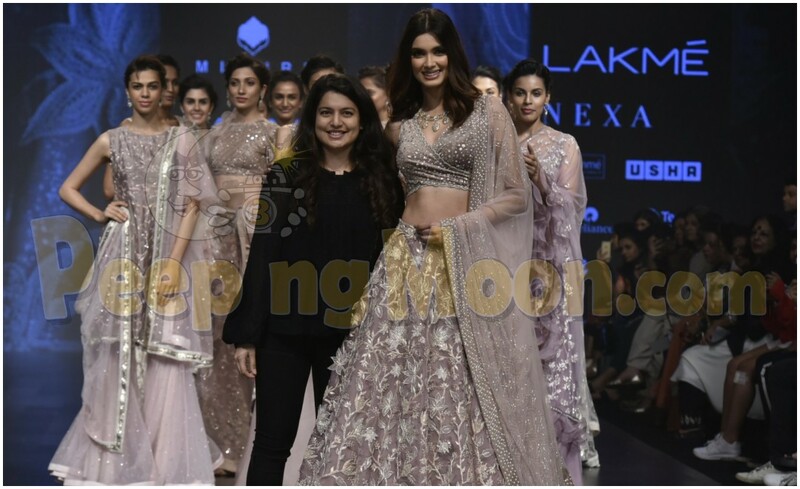 Show stopper Shweta Bachchan does the strut for Abu Jani Sandeep Khosla wearing their recent creations and you have to see it! 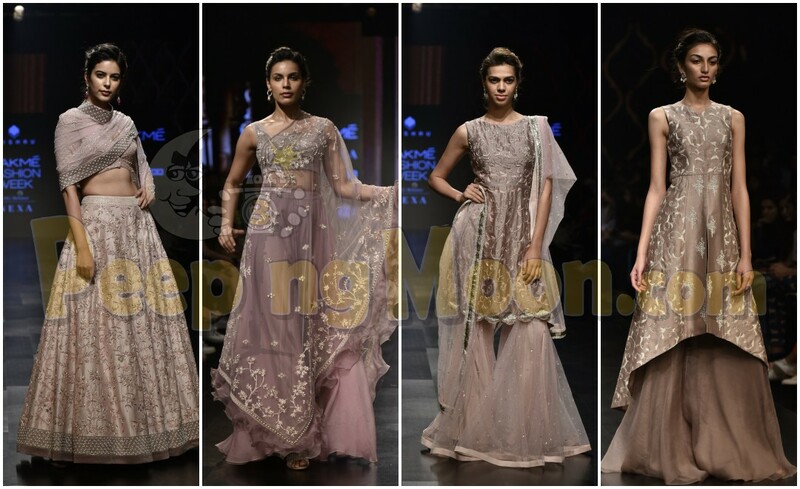 LMIFW A/W 2019: Suneet Verma, Nitin Bal Chauhan, Pooja Shroff...we're drooling over the diversity showcased on Day 2 at the runway! From Rina Dhaka to Deme by Gabriella, Pernia's Pop-up Runway S/S 2019 has opened the gates to luxe fashion and we love it!